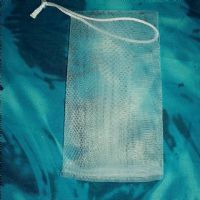 This sis an awesome soap bag/saver. Just put your soap in fo loads of lather. Rinse and hang to dry between showers! Generously sized to hold the biggest bars!